It was only just about five or six decades ago that the Hollywood industry insisted that films with women or people of color as the lead would never actually prove successful. Fast forward to today, and female-centered films like Wonder Woman and Tomb Raider are coming out on a monthly basis, while huge franchises like Star Wars are creating massively influential heroines and hiring talent like John Boyega (Finn) and Donald Glover (young Lando) for significant parts. When Marvel debuted Black Panther in February — itself almost entirely based on African culture — analysts expected it do well since, well, it’s a Marvel superhero flick, but even they couldn’t have predicted the level of success it’s since received. Not only did Black Panther break the February box office record upon release, but it also slid past Star Wars: The Last Jedi into the number five spot among highest grossing U.S. releases. Now, however, the king of Wakanda has hoisted himself up onto the throne once again — this time as the king of the superhero genre (at least as far as box office is concerned). This past week, the film’s domestic haul reached $626.5 million, officially beating out the previous record-holder The Avengers, which stands at $623 million. Globally, the film stands with a worldwide gross of $1.23 billion. And that number is still climbing. Despite being in its sixth week, Black Panther is on track to continue gaining ground as it continues to come up fast behind the four other films in front of it. If it continues making dough as predicted, it’s expected to surpass Jurassic World and Titanic. On top of its remarkable achievements, the Marvel film also became the first movie since 2009’s Avatar to remain in the top spot for five consecutive weeks. There’s no reason to expect Black Panther to fall under the top three within the coming weeks — that is until its big brother Avengers: Infinity War stomps into theaters at the end of April. Even then, though, audiences will still get to see more of T’Challa, as he’s one of the many superheroes that will appear. 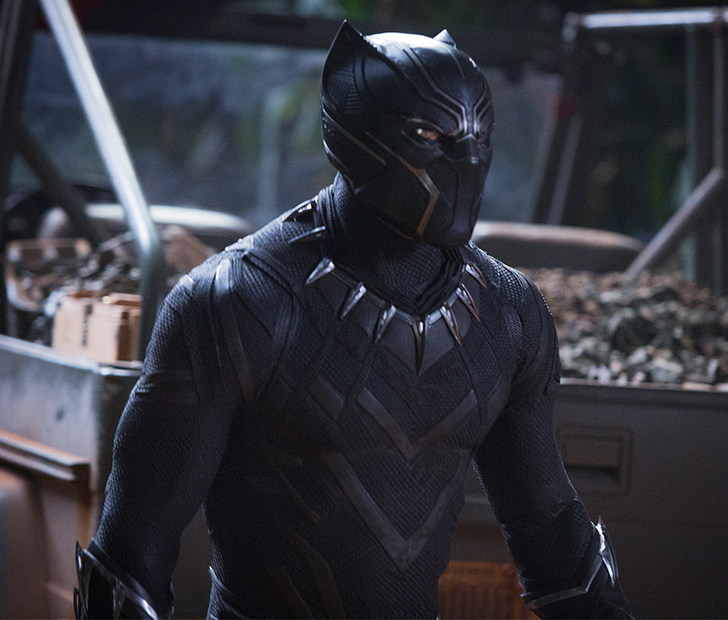 SHARE this article if you’re glad for the landmark achievements Black Panther is making! Next ArticleThese Vintage Sexist Ads Are Unbelievable!